A to Z Eye Care has a long-standing history of using the latest technology available to provide the best care for our patients. We do this by obtaining the most accurate results possible from state of the art technology equipment. These results help us to obtain information that is used to find the best treatment for you and ensure the overall health of your eyes. 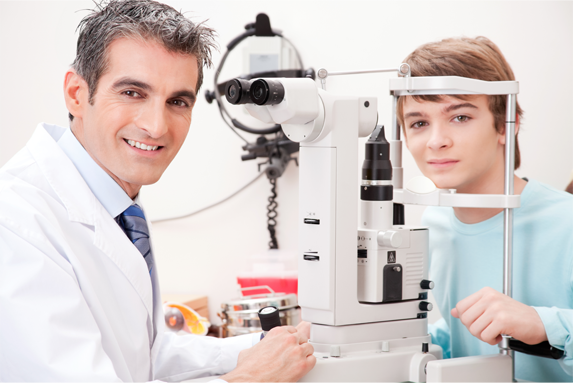 In addition to our eye examinations and contact lens services, we also provide an array of additional medical diagnostic services. Below you will find the instruments we use in our office and how they help you remain healthy. The instruments are fairly technical and have scores of pages dedicated to their operation and benefits, so we have condensed the information into the important facts that will benefit you as a patient. We would urge you to contact us if there is any piece of information you do not understand and would like to know more about. 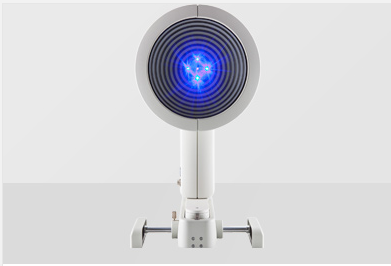 The Optomap is a piece of equipment that performs a retinal exam at a much higher degree of range and accuracy than traditional ophthalmoscope exams. While traditional methods usually allow you to see around 10% of the retina at any one time, with Optomap, we can view more than 80% of the entire retina in a single viewing. This instrument is also quite comfortable and takes less than one second. As a result, patients find this method to be painless and a more preferred method over the alternative. This machine is safe for children and adults alike as there have been no adverse effects in over 39 million cases reported. Used primarily for the fitting of contact lenses, the Keratograph 4 is considered to be the gold standard in corneal topography. It ensures reliability in regards to taking measurements, providing consultation and fitting contact lenses. The Keratograph accurate findings are something you can count on. The integrated keratometer and automatic measurement activation guarantee perfect reproducibility. 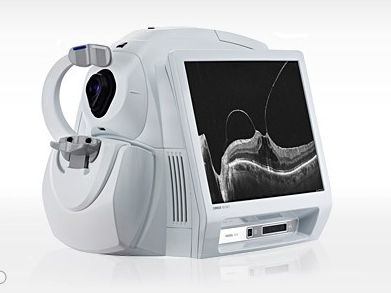 The CIRRUS HD-OCT is another piece of cutting edge equipment that can be used to keep your eyes in tiptop shape. Using Optical Coherence Thomography, the CIRRUS HD-OCT uses the new FastTrac retinal tracking system to perform retina scans at the highest resolution and still the same location. As a result, you can easily track changes in your eye condition with little to no variance in the analysis results. With proven clinical literature, this device provides us with the tools to make sure your eyes are well taken care of. We know medical equipment has a lot of technical terminology associated with it, so if there is any device you have questions about or diagnostic information you are interested in, please contact us and we will be happy to answer any questions and help you schedule an appointment. All of the equipment listed above is designed to help us help you. We are conveniently located in Arcata near Eureka, so get your eyes checked out today. We look forward to seeing you soon!